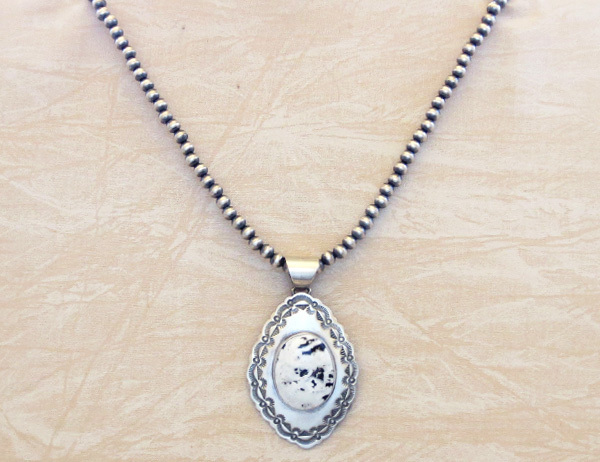 This gorgeous large handcrafted pendant is perfect with the 20" 6 mm Desert Pearl necklace. sets in a smooth bezel with fine stamp work surrounding the stone. 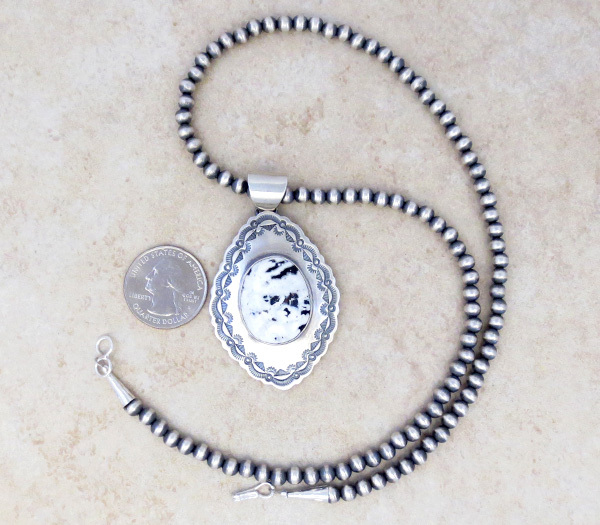 The silver all has a very nice satin sheen both on the pendant and Navajo pearl necklace. It's marked sterling and signed John Nelson. Pendant weight: 21.5 grams on my scale. 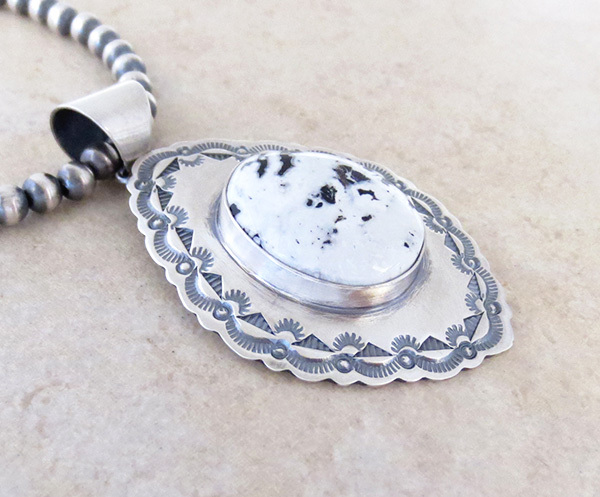 White Buffalo Stone, also known as Sacred Buffalo Stone, is white with black and brown inclusions. 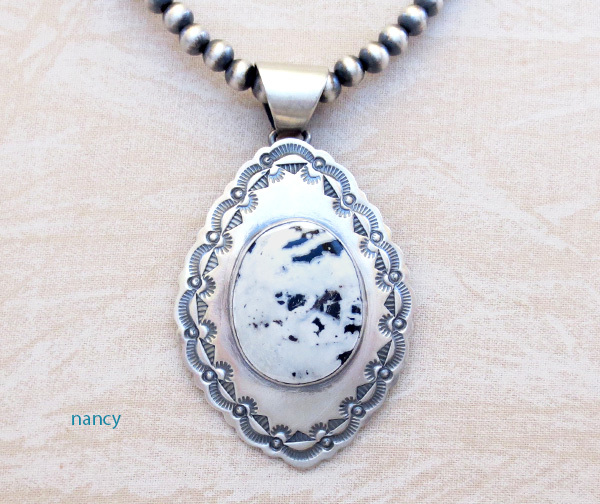 It's sometimes called "white turquoise" but it is not turquoise and from what I gather it's comes from only one mine in Nevada, which is owned by the Otteson family. 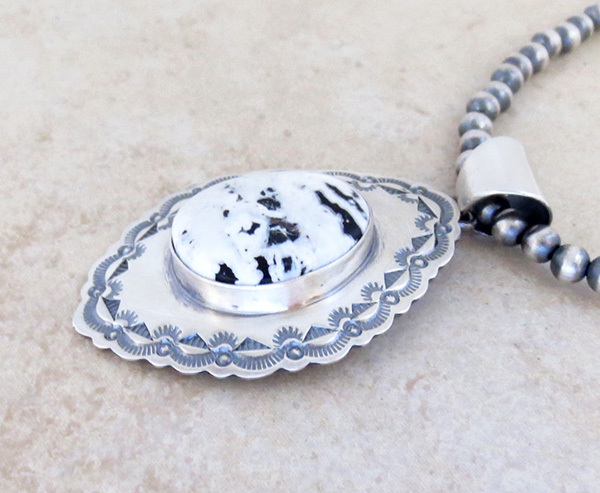 It's a great looking stone and this goes with everything, what's not like about black and white?